A group of friends with similar thoughts gathered an decided to work together by sharing their time, money and dedication to join with millions for a better world, a better life situation for the new generations. We had long discussions about the various activites and invested time in research. We understood the society needs our help in a lot of ways and we also came to know about our limitations and services we can offer without impacting our daily schedules. Almost all of us are from a working class society, needs to be present in office for atleast 9-10 hours in a day. The main aim is to identify an area where we can contribute without any impact to our daily schedules or family responsibilities. There a lot of areas we identified from supplying food to the needful person near to us, visiting the orphanges, supplying medicines to the needful persons and more. But all this may requires a dedicated team, to be available and we are not in position to assign these all responsibilites to a person. So we started our research again. During our research we came to know about the level of educated people around us. Fortunately, the state of Kerala enjoys a literacy rate similar to the western countries. But still, we can found there are lot of families struggles to send their children to school. Seven million children under the age of 14 years in India do not have access to education and approximately 50% of these children drop out before they complete their elementary education. We observed that this is mainly because of the economic problems and parents are not able to provide basic needs and they will send their kids to do some sort of work. We also aware about the activites by the famous child activist Kailash Satyarthi which liberated a huge amount of children from labour, slavery and trafficking. We looked across our society and we finally reached a conclusion that the only education will help to transform a child to a better human being. Despite growing investment in education, 25% of its population is still illiterate; only 15% of Indian students reach high school, and just 7%, of the 15% who make it to high school, graduate. As of 2008, India’s post-secondary institutions offer only enough seats for 7% of India’s college-age population, 25% of teaching positions nationwide are vacant, and 57% of college professors lack either a master’s or PhD degree. Its a unanimous decision to support education and we finally decided to make this official, by registering it with the government and having its own bylaws and regulations. Sayuj and Akhil were responsible for these activites and submitted a request to initate the process to the Ernakulam register office. 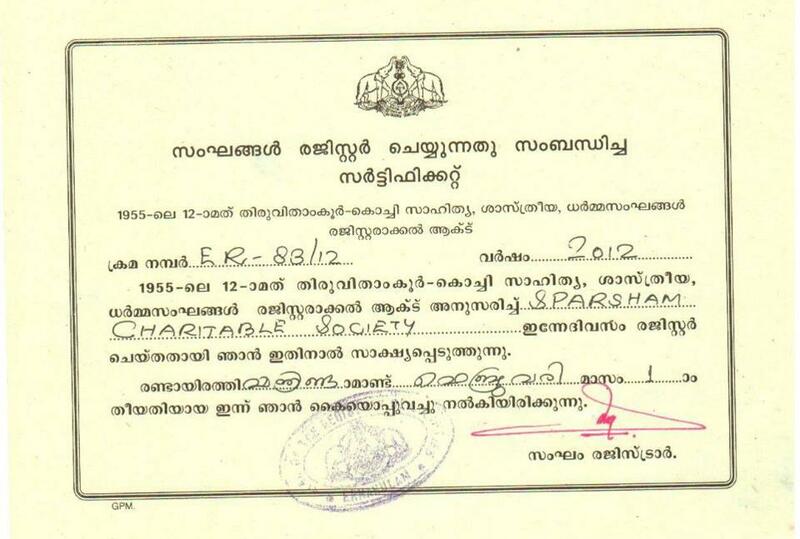 We soon got the registration approved and here is our registration certificate.